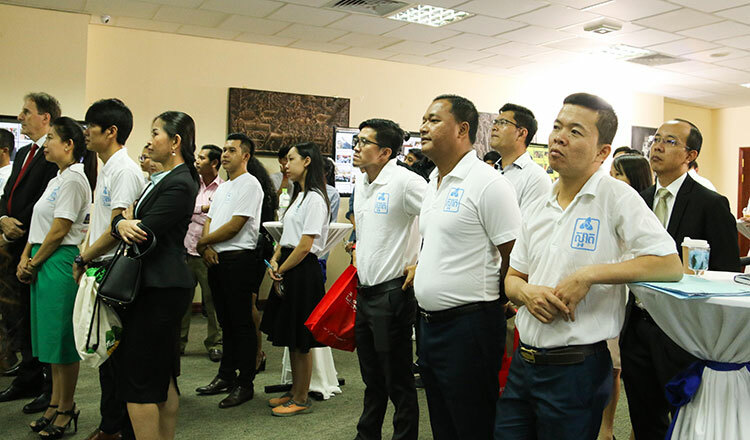 The Ministry of Environment and the initiators of last year’s Phnom Penh Sa-at campaign (Sa-at is Khmer for clean, beautiful) got together last week to kick off the Phnom Penh Sa-at Campaign 2018. The campaign’s core objectives are to create awareness for environment-friendly waste management, to encourage waste sorting, and to discourage littering. The small team aims to expand the involvement of celebrities and social media influencers so that the message of PP Sa-at will reach an even broader audience. The campaign has joined hands with an performance artist to produce a music video. It will be shown at various locations in the capital like cinemas, shops, and restaurants. It aims to motivational the viewers to participate in the project by no longer thoughtlessly depositing their refuse around their residences and/or along the streets. SAAT participants from different sectors show their support to the campaign. 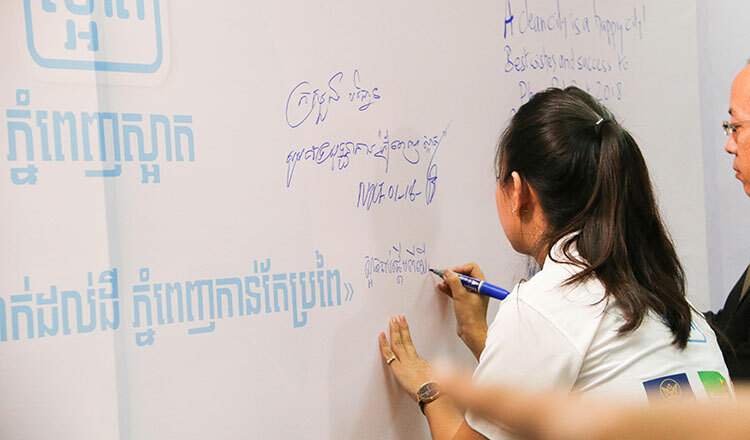 The project is supported by the Ministry of Education, Youth and Sports and the workshops methodology should promote two-way communications, i.e. positive feedback from the students. Targeting the youth is a major factor in influencing the public to alter the way they handle their waste materials. The campaign is a reflection of the commitment of citizens and city officials who, in a group-effort, endeavour to keep the city clean and thereby beautify it, and protect the environment in general.